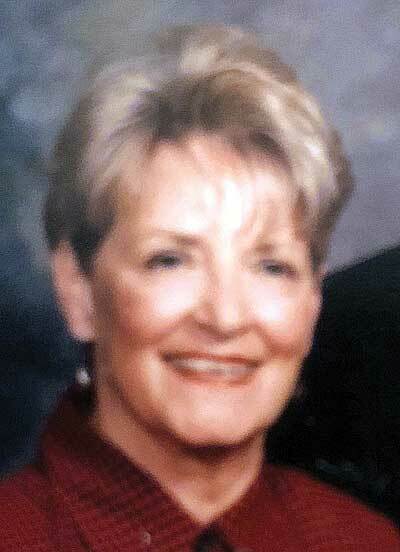 Nancy Carolyn Cox White Peake, age 80, of Knoxville was born March 27, 1938 in Knoxville, TN. and died Wednesday, August 22, 2018 at Shannondale Healthcare Center. She was a graduate of Fulton High School and trained as a medical technician in Parkersburg, W.Va. Nancy was preceded in death by husbands Charles (Chick) Dewey White (d. April 14, 1981), and Ronnie Marsh Peake (d. August 31, 2013). She was the daughter of Walker S. Cox and Elizabeth Rhodes. She had a lifelong ministry in church music. As a member of Central United Methodist Church, she served as the church pianist for over 20 years. Nancy and Ronnie were both active in Gideons International for many years. She loved to spend time in Chattanooga on the family farm with her beloved aunts, uncles, and cousins. Summers at Nana’s were an adventure and all of the grandkids looked forward to spending time in Knoxville. She is survived by five children and their spouses: Jan and Rob Williams, Allen White, Linda and Tom Christensen, Jabette and Jack Carlson, Ronnie and Julie Peake; grandchildren (and spouses) Matthew Williams, Jonathan and Elise Williams, Luke and Alta Williams, Mark Root and Lacy Houstoun, David and Melissa Root, Kathleen Carlson, Jeanette Carlson, Riley Peake; and twelve great-grandchildren. In lieu of flowers, memorial contributions may be made to Central United Methodist Church (201 E. Third Avenue, Knoxville, TN 37917). The Family and friends met at Lynnhurst Cemetery at 10:45 a.m. Saturday, August 25, 2018 for an 11:00 a.m. graveside service with Rev. Jimmy Sherrod officiating. A memorial service followed at 12:00 p.m. at Central United Methodist Church, 201 3rd Avenue, Knoxville, TN 37917. The family received friends following the memorial service at the church.